In this logo generator roundup, we show you the top 8 best logo makers and logo generators on the market so you can create a great logo for your brand on a budget. Ecommerce is in a very different place than it was even five years ago: The days of finding a boring, under-served niche and stuffing your URL with your niche’s keywords (i.e. www.discountcarbreaks.com) are mostly over. Customers are smarter and more discerning, and search engine algorithms ignore those blatant attempts to rank with your name. We are now entering a new era in ecommerce and it’s heavily driven by brand. So, why is a logo so important? Like we discuss in our Ecommerce Branding Guide, a logo is such a small element of a brand but it’s also one of the most critical and consumer-facing elements. Your brand is the sum of every visitor and customer interaction with your audience. While not every person that lands on your website will buy from you and get to experience every element of your brand, (your product, unboxing experience, customer service, etc.) they will all see your logo. In the past, there were a limited amount of logo design options: Either you created something yourself with clip-art (cringe), or you had to work with a professional logo designer and pay big money. There was no middle ground for ecommerce merchants who wanted a great logo without having to make it themselves or fork over a huge chunk of their budget. These days, however, there are a decent amount of effective logo generators at varying price points that ecommerce merchants can use to create a great logo for their new brand. Let’s take a look at 8 best low-cost logo generator options for your new business! Watch the video below for a review of each logo generator service or skip it to see the full list. 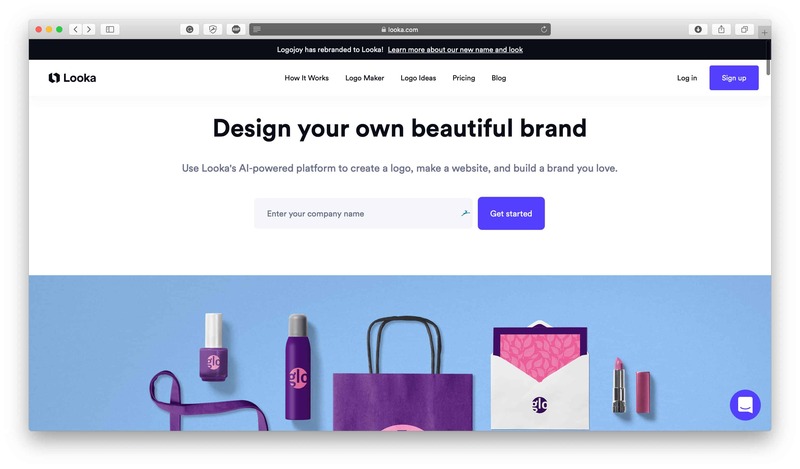 Looka is one of the best online logo generators on the market because its sophisticated AI-powered generator quickly creates beautiful and functional logos that perform well for ecommerce brands and are optimized for every location a logo needs to be used: On websites, marketing material, product designs, social media accounts and more. Their logo generator tool is super easy to use — simply interact with their preference-defining process so their AI technology can understand what you like and don’t like in a logo, and then the generator will instantly create an infinite amount of logo designs for you to choose from. You can edit each design to tailor it to your specific tastes, whether that’s modifying the font, color palette or layout, and you only purchase the logo once you’re completely happy with it. If you’re on the hunt for a logo generator that can instantly create a beautiful and functional logo for your brand, make Looka your first stop. Have a read of our Looka Review to learn more about their features and services before you jump straight into designing your logo. Creative Market is one of the top online design marketplaces and they feature a plethora of great logo templates. They’re more of a DIY option when it comes to logo creation, as their logo templates need to be edited using a software like Adobe Photoshop, but for entrepreneurs who are looking for a more bespoke option, Creative Market can be an ideal alternative. With a wide selection of top-notch photos, graphics, templates, themes, and fonts, Creative Market offers high-quality design work that can be used to create all kinds of different logos. We covered the different types of logos in our Company Logo Design for Ecommerce Entrepreneurs article and with Creative Market’s logo templates, the possibilities are endless when it comes to creating minimalist logo designs, bold logo designs, playful logo designs, vintage logo designs and more. To find logo templates to work with on Creative Market, simply search for “Logo Template” in their search bar. If you’re interested in learning more about all the other design assets Creative Market has to offer, check out our Creative Market review. They offer all kinds of other designs assets that can be useful for DIY logo design like fonts, icons, images, and graphics. Bonus: Check out this package of 107 logo templates on Creative Market, editable with both Photoshop and Illustrator. It’s an easy service to use, and much like the Looka logo generator, it’s free to design your logo with and you only pay for your design once you’re completely happy with it. Withoomph is a simple online logo generator to use. Just enter your business name and a keyword or two to describe your business and Withoomph will present you with dozens of automatically generated logo’s. Once you find a logo you like, edit the font and color to match your company’s branding! Their logo generator creates thousands of high-quality logos for you to review, so there’s a good chance of you finding a logo design that’s exactly what you’re looking for. They have accessible pricing tiers for merchants who need their logo to perform well either online or in print, and there’s even a social media add-on for entrepreneurs who want their logo design perfectly optimized for their social accounts. The Hipster Logo Generator is an interactive Logo Generator that you can actively use it to create your logo online, from scratch, step-by-step. It’s different from other logo generators because although it creates a digital logo, it lays out all the aspects of a logo section by section so you can build your very own logo from scratch from the elements it offers. It’s not the right logo generator for everyone, but it can help you design your own logo from the ground up so you can make it look exactly how you want with simple design elements that are the foundation of classic logo designs. If you’re looking to build your own logo without having to DIY it or use editing software like Photoshop, then this is the logo generator resource to check out. Squarespace is highly regarded in the ecommerce industry for their beautiful digital design work and the Squarespace Logo Maker is no exception. A great logo generator for entrepreneurs who have a limited amount of design experience, it’s very easy to use and an accessible way to create a unique logo design using standard design elements. While it doesn’t completely generate logo designs for your brand, you can use it to bring your vision to life if you have a certain logo design in mind but don’t have the skills to create it for yourself digitally. Play around with the different design elements they provide and add in your brand name and tagline to create a logo that’s customized to your brand. They also allow you to preview your logo on a website homepage, a business card, and a t-shirt so you can get a sense for how it will look in real life. The GraphicSprings logo generator is a great tool for ecommerce entrepreneurs to use because it’s entirely optimized for brands, businesses, and companies. Instead of starting off the design process by entering in your brand name like many logo generators, you begin the logo design process by selecting a template from their library of logo design templates that are organized by industry so you can find a logo template that’s completely tailored to suit your type of business. From there, the GraphicSprings logo maker allows you to make adjustments to your logo so it completely represents the look and feel of your brand. Not only do they offer logo design services, but they also offer branding services! Create your logo first and then create custom flyers, business cards and social media posts for your business, too. This way you can be sure that your branding is consistent across all mediums and matches your business as a whole. Fiverr has its place in the online logo design world because although you won’t get an original, well-designed logo for just $5, it is possible to get a great-looking logo at a similarly great price point. Although there are some high-quality logo designers on Fiverr, be aware that there can be some low-quality ones as well that repurpose logo designs, which can make your logo design less original and unique than if you were to use a randomized logo generator like some of the ones we listed above. When you approach the logo design section on Fiverr, it’s helpful to know what kind of logo design you’re aiming for so you can find the right person to create a logo design you want. Fonts can be free, however, paid fonts ($10-$100+) are generally more polished and come with many more features and styles to work with. If you’re looking for a simple, yet effective, logo design and aren’t interested in adding icons, shapes, images or graphics to your logo design then using a great font might just be exactly what you need! Check out the font resources below to find the perfect font for your brand. If you have the budget and are looking for something a little more personalized and customized to your brand, you may want to consider finding a logo designer! Although in the past it has typically been a very expensive project to work with a logo designer, with social media and amateur logo designers looking to build up their portfolio it has become much more accessible to find a logo designer to create a beautiful logo for your brand. A logo designer is ideal for entrepreneurs who want a great logo that will stand the test of time that they can use across their products, website, advertising campaigns and professional assets which will give them a very high-quality and put-together look. To get started finding a logo designer for your brand, no matter your price point, check out our Logo Designers Directory. We’ve curated this directory to help entrepreneurs find established logo designers that service a range of different budgets so if you think you’d benefit from a logo designer, this directory will save you time from searching for designers yourself. With the number of low-cost options for creating a logo, there’s absolutely no excuse not to have a beautiful and functional logo for your online store and brand. Spend some time looking at other brand’s logos and exploring the logo generator options from this post and you’re more than likely to find something to suit your brand and budget. Nice roundup! I liked the Tailor brands logo generator the best. Logo Nerds is a great source. They’ll design a logo and mascot for $97. Great roundup! I really like the logo you made with the Creative Market template. I played around with Tailor Brands logo generator too, and that was great as well! I think a great logo is the key to success. Without one, what else is going to make you stand out? Well, that’s awesome! A great logo is a must for anyone with a business, and these are great resources to find some good ones. Thanks! I’ve used Fiverr before and found the service great and so reasonable. I actually got my blog logo designed by a fellow blogger. Man. Really? I can’t believe this exists. I guess it’s still good to have Graphic Designers like me around, to get a really different looking logo, but if people can start doing it themselves – it puts people like me out of a job. Logos are very important for companies. I can tell a company, the name just by looking at the logo. Logos are important and I didn’t know that there was such a thing as logo generators. Putting this in my pocket app so I can find it later. Thanks! I never knew of these logo generators, but nothing surprises me anymore. I totally agree, that logos are a must for all businesses. Absolutely! When I started by business with Rodan + Fields, I immediately kept my own personal brand and logo because I new it would help grow my business faster (and I was right!) Having a logo and personal brand tied to your business help keep you authentic and connected to other people who are interested in what you have to offer! This is a great resource! Thanks for sharing this. I am going to check this out because I have ben thinking of changing things up a little bit. Great! Thank you for the resource. I never knew about Logo Generator, but some of the websites you provided I have heard of before. Thanks! This is great. I’m going to talk to my husband about this. We own a security company and my husband has his business phrase but he may like an actually graphic or pictures to go with it. I really loved reading this. Never thought about logos before. Love the look of most of these. Logos are definitely a must have when you want to get your name out there. Coming up with the perfect one is the hardest part, cause you want to stand out from the rest. Thanks for sharing! This could seriously come in handy. The Tailor Brands logo generator sounds like a nice option. I love that there are so many places to get inexpensive logos made. It’s perfect for those of us that are less than creative but want a great logo. Log branding is extremely important in any business. It’s a matter of recognition as well! This really looks like a great way for blogs to get noticed. You have reasonable pricing as well. this is a cool idea! I will actually share this with my friend whose starting a clothing line. This is a pretty interesting and will think about trying for my blog. Thanks for sharing! I think a brand’s logo develops with time. When you know the direction you’re going to be heading towards, you can always re-brand. Agreed. Even my logo for this blog has evolved several times over the last 2 1/2 years. I absolutely agree. Even my logo for this blog has evolved several times over the last 2+ years. We recently just thought about making a real, professional-looking logo for our blog. This would definitely do the trick! Logos really are so important for all of those reasons you pointed out. I love the idea of logo generators. They definitely are a fun thing to play with, that’s for sure. Those logo are really affordable, I like this idea of logo generators, you’re really brilliant, I’ll keep this in mind. A logo pretty much symbolizes your blog, it is super important! Richard, your link is not working. Thanks for point that out. Just corrected it. This is awesome information on logos. I love how you explained each one and the prices also. Thanks for sharing. Logos are very important especially for business. Having your own logo for your blog is awesome too. Thanks for sharing this. Wow, thanks for sharing these awesome resources. I can see why the first is your favorite! The logos look clean and crisp. Brand recognition and consistency are both very important. I had never heard of Creative Market before … thanks for the heads up. Wow this is all so great to know! I want to get a new logo, one that is fitting and different! This will be great and beneficial! I love Creative Market. I have used their material for a few clients. Another one I like is Graphic Stock and for my more spiritual clients, Light Stock. All of them have such wonderful artist. This is such an interesting post. So much great information on Logos. I really appreciate how convenient and easy this service is. There are so many affordable options, you would be goofy not to do it! The price of the logo is affordable, and It look so elegant too. The Finch Good is my favorite. A lot of companies take this for granted but logos and branding is such a big deal. That’s pretty interesting information. I’m quite lucky to have a wife and friend of 30+ years who are very talented designers, so I have always taken branding and logo design for granted. That is absolutely amazing! So many people need an affordable option for a logo! GDMRNG….CHECK OUT MY NEW WEBSITE >> ATL CUSTOM DEZIGNS << 10% GOES TO THE LESS FORTUNATE AND KIDS WITH CANCER THANK YOU HAVE A BLESSED DAY. Wow.. this is Great Wonderful Tools.. awesome information Thanks for sharing..
Wow … maybe these were free when you did the article but every single one of them charges you do download even a low res version except for the SquareSpace designer. Wishing it used SVG for the high-res version. Great article! 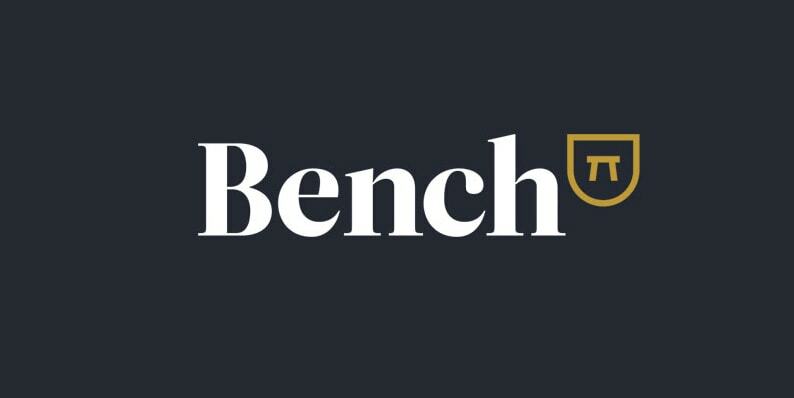 Could you tell me what font is the one that you use for https://www.abetterlemonadestand.com/wp-content/uploads/2015/02/Creative-Market-Font-Logo-Example.jpg ? I wonder if the “simple” logo designs with very clean designs that are seen as fashionable today will start to be viewed as outdated soon. Once all the companies are using logo generators like this, freelance designers might actually find themselves with MORE job offers because it’ll be even harder to separate yourself from the competition. My own free logo maker (http://daringlogos.com) is hopefully not too late to the party!! thank you very much for providing this information!!! I used TailorBrand on 14 August 2016, and the brand is garbage. It delivers 72 dpi not 300 dpi. In contacting live chat I got I’m sorry. 2 days to get Diane to respond, and I got blah blah blah about how it’s a bug in their software. WTF? She sent me new files that were suppose to her 300 dpi on 16 August 2016 but today 1 September 2016, I learned that is not true. Still 72 dpi, and placed the charge into dispute. All I can recommend is nothing. Run from TailorBrand. It is garbage. Very informative post. your post is most clear and detailed. Thank you for sharing us..
Great list Richard. I did notice you’ve only included one logo maker that offers a free, non-watermarked version. We provide non-watermarked free versions at https://www.freelogocreator.io also have categories specific to each business. Not only that, we also give you the option to create an entirely custom logo by searching and adding icons from our hundreds of thousands of available icons/shapes for use. I’ve read this post about 7 times now already and learnt quite a lot from it that I even shared it on Twitter. Thank you for the valuable enlightenment!